Def Leppard has created "Hysteria" in metal music and set your ears on fire with "Pyromania" through the radio. Def Leppard has been a house hold name since they started telling you to "Pour Some Sugar On Me" back in the 70's. 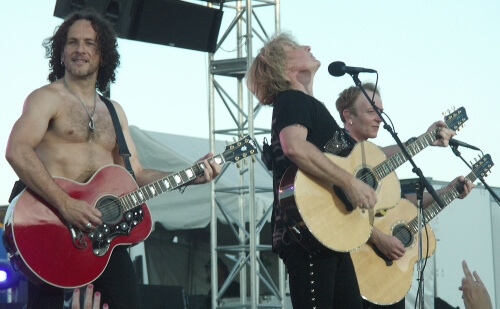 The times have changed but Def Leppard is still just as heavy metal as when they started. Don't miss them on tour with co-headliner Journey coming to a venue near you. Buy tickets today from Rad.Tickets and as Def Leppard says "Let's Get Rocked"!